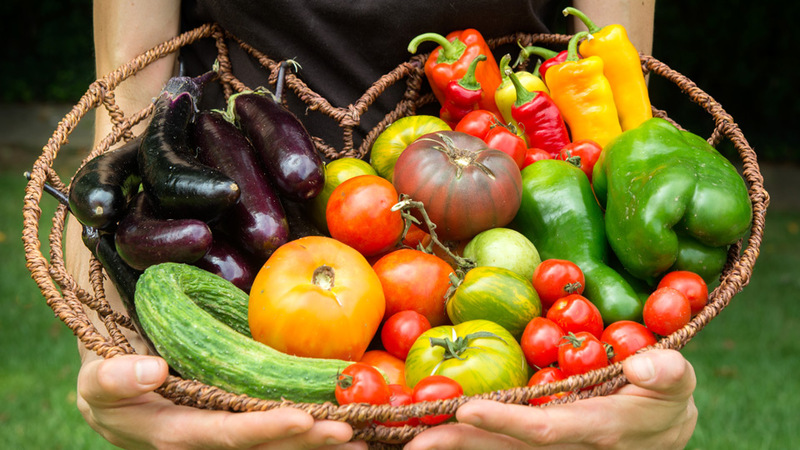 The growing season in Pennsylvania offers up a bountiful array of vegetables at the peak of freshness and flavor, from the first tomato of the season to a just-picked ear of corn. It’s easy to get fantastic quality produce grown by local farms, but what you do next matters most. Don’t let a good vegetable go bad! Follow this guide for valuable tips on keeping your Pennsylvania-grown produce its best from the market to the plate. Get out to a local farmstead or farmers’ market. You’ll find the freshest locally grown melons, tomatoes, corn and more. There’s nothing like true sun-ripened produce at the height of the season. Now that you have the best locally grown produce around, it’s time to get cooking. Read recipes ahead of time. Know what you’re getting into, how much work it is and how long it will take. By familiarizing yourself with the recipe, you’ll know ahead of time whether you’ll need unexpected ingredients or more time than you were planning. It also begins the learning process so you’re that much more prepared for success in the kitchen. 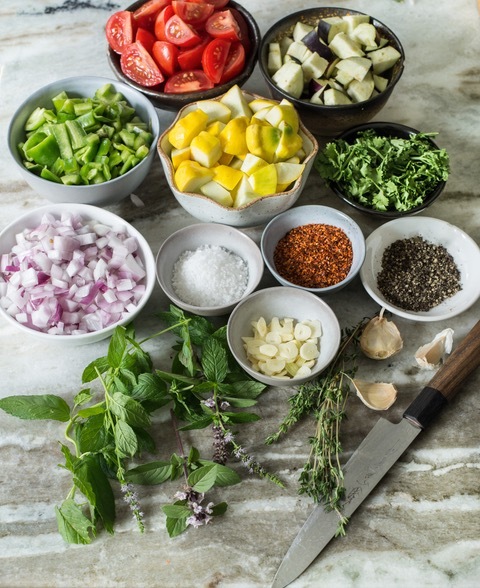 Prepare your mise en place (everything in its place). Think through the steps that you’ll have to take and arrange items accordingly. It’s easy to see how useful this is on cooking shows, where everything is pre-cut, pre-measured and ready to go. By doing the same thing at home, you set yourself up for success and cut out the stress. Follow a plan so you’re always one step ahead. If you’re multi-tasking, keep the steps simple so that even if there’s a hiccup it’s easy to recover. Use all of your senses (hear a pot boil, listen for a timer so you don’t forget to check a pan, smell the food starting to brown). Clean as you go (during down time when cooking—then there’s less to do when you finish—yay!). If you’re a list person, keep the recipe in an easy spot to reference, or maybe make your own checklist for the dish in question. The devil is in the details. Sometimes the difference between food and great food is as simple as how a vegetable is cut. That ham sandwich, for example, wouldn’t taste the same if it was a big ham steak instead of thinly sliced deli meat. Mirepoix—a mix of veggies, roughly chopped, usually onions, carrots and celery (but feel free to experiment!). Dice—a cut resulting in small veggie cubes. Tip: when possible, cut veggies into long strips first; then dice them into small cubes. Batons/Julienne—a cut creating long, thin strips that look like matchsticks. Like dicing, it helps to cut veggies into longer strips first and then create smaller strips—or batons/juliennes—from there. Mince—a cut that creates a very small, super fine dice. Start with your basic dice and keep going, as small as you can get. Chiffonade—a technique the renders herbs or leafy greens into thin strips. First stack the leaves; then roll them tightly and carefully slice across the roll. Onions and peppers are a classic combination, and there are many ways to slice them for a variety of dishes. Their affinity for each other is born not only from the flavors they create when united but also by their strikingly similar cooking times. Try a baton or julienne cut for fajitas or sandwiches or as an accompaniment to grilled meats. A smaller dice is great for topping tacos or stirring into cold salads, while a larger dice is ideal for cooking into dishes like chili so that all the elements are about the same size. Tip: If you’re cooking up lots of different veggies (like in a stir fry), try cutting them with cook time in mind. A typical arrangement for this method might be larger batons for peppers and onions, matchstick-size julienne for carrots and something sized in between for summer squash. Bring your skills to the next level by perfecting when to drop which veggie into the pan so that they all cook at the same rate. No one likes soggy veggies. One of the most important things to know about cooking them is what not to do: overcook them. If you know veggies will sit in a warmer until the rest of the food is ready, try undercooking them just slightly. Experiment with different veggies to know their cooking times, and plan accordingly. Making more than one? Cook them sequentially in order of longest cook time to shortest cook time. Wash at the right time. Always wash veggies right before cooking. The more veggies are handled and made wet, the less shelf life they generally have. 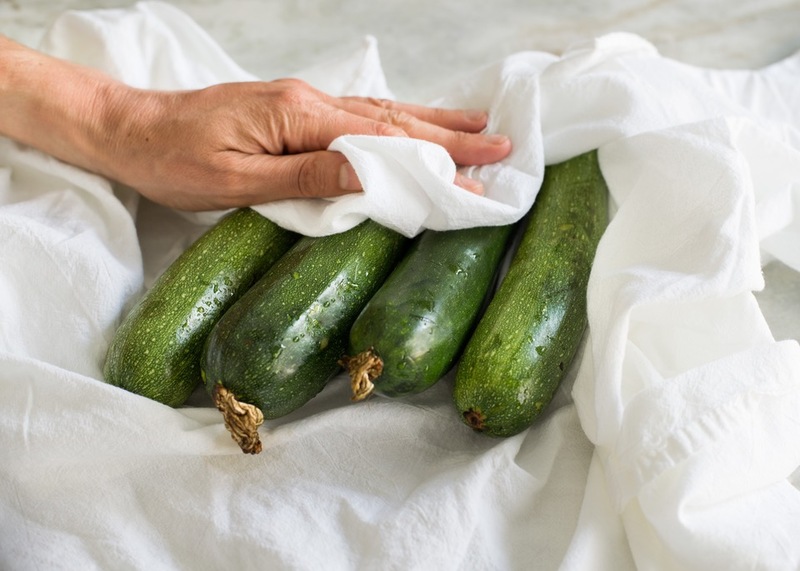 If your veggies are really muddy or wet when you buy them, make sure they’re dried and cleaned off for storage so wet spots don’t make them spoil. Cleanliness is next to … veggies? That’s right! It’s no surprise that you want to keep things clean in the kitchen. 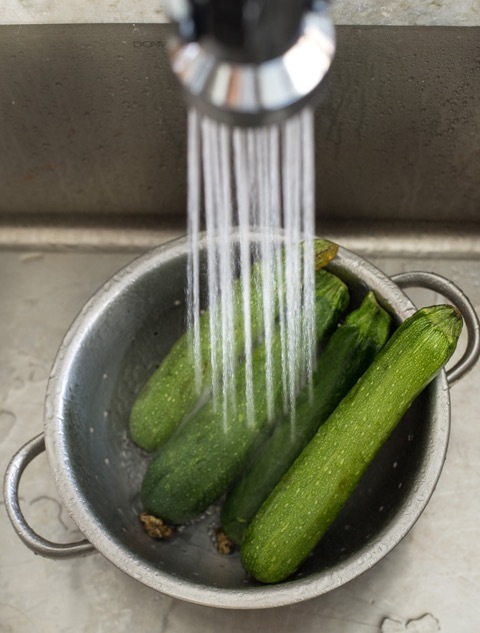 Cleaning your fridge and sink on a regular basis can help reduce the amount of germs that make good veggies go bad. So will changing kitchen towels regularly. Every bit counts! Follow this general guide for veggie storage. Some veggies need special treatment in order to keep them their best. Tomatoes require gentle care. Room temperature storage is ideal—refrigeration mutes flavors and creates a mealy texture. Keep tomatoes in a basket in one layer so that air flows around them (this will reduce bruising and bad spots). Delicious sweet corn is best eaten fast, before its tasty sugars convert to starches. 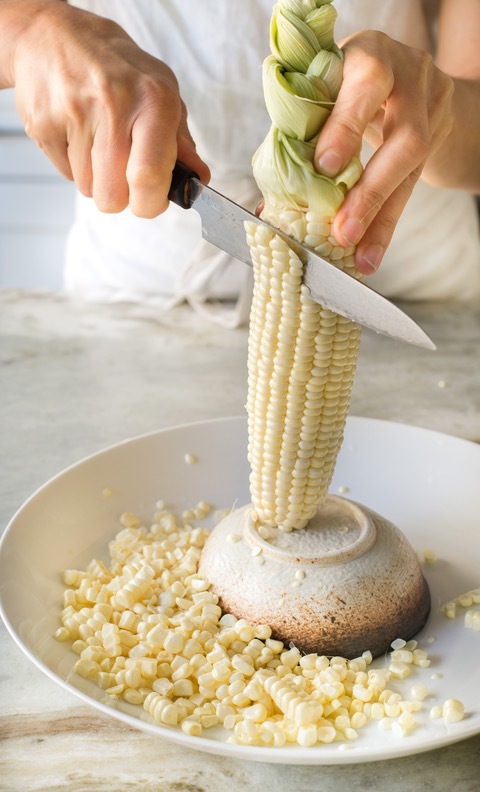 Husks are nature’s way of protecting the kernels, and keeping them on will extend shelf life. Just make sure that corn doesn’t get too wet in a humid environment, which will cause spoilage. Melons can be big and cumbersome. These behemoth beauties usually need a good rinse before chopping since they ripen on the ground. If you’re ready to crack your melon, make sure you cut it all at once and place whatever you’re not ready to eat in the fridge. Melons have a relatively short shelf life and start changing as soon as they are cut into. Get while the gettin’ is good! Treat fresh herbs like flowers. Place them in drinking water in a clean glass and use them quickly while they’re at their peak. Cold hardy herbs (cilantro, parsley, thyme) do best in the fridge, while warm weather herbs (basil, delicate mints) do best at room temperature. Change room temperature water often, discard the stems that were in the water and use the herbs quickly! If your herbs are drying out in the fridge, you can always place a plastic bag over them to help keep moisture in. Eggplant is a tricky vegetable with an ancient secret. Those in the know will salt slices of eggplant before cooking to draw out the bitter juices. You’ll see brown water bead at the surface and know it’s working. Rinse with water and pat dry to cook up the sweetest eggplant you’ve ever tasted.